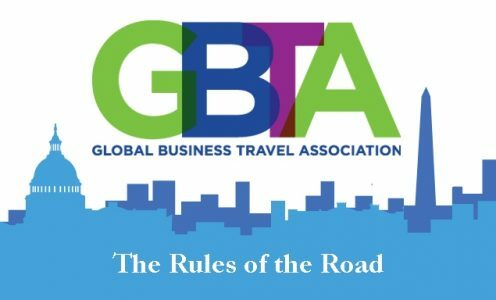 The Global Business Travel Association (GBTA) – the voice of the global business travel industry – announced the new Rules of the Road for optimizing business travel at its 14th annual Legislative Symposium. GBTA mobilized its members to create this declaration of travel reform to guide industry, business leaders and policy makers in creating a travel ecosystem that fosters growth, jobs, safety and efficiency around the globe. The Rules of the Road consists of eight guiding principles including safety and security, taxes, competition, fee clarity, communication, innovation, traveler experience and quality and connectivity. Together these principles will help to make the global travel systems safer, more secure, more reliable and a better place to conduct and facilitate business. To read the Rules of the Road, click here. GBTA also created the inaugural GBTA Navigator Award to honor Senators and Representatives who have been strong champions for business travelers and the business travel industry. To see who were the first recipients of the awards, at Travel Daily News, click here.